This blog was originally published on the Illinois News Bureau webpage on December 9, 2014. Antoinette Burton is an EUC-affiliated faculty member. History professor Antoinette Burton is one of five Illinois professors awarded National Endowment for the Humanities Fellowships for 2015. CHAMPAIGN, Ill. — Five University of Illinois scholars have received National Endowment for the Humanities Fellowships for 2015. The U. of I. is the only institution to be awarded more than three of the fellowships for the coming year. The grant recipients from the U. of I. are Antoinette Burton, a professor of history, Bastian Professor of Global and Transnational Studies, a professor of gender and women’s studies and interim head of the department of sociology; Robert Morrissey, a professor of history; Timothy Pauketat, a professor of anthropology and of medieval studies; François Proulx, a professor of French; and Valeria Sobol, a professor of Slavic languages and literatures. The U. of I. fellowships were among 233 humanities grants, totaling $17.9 million, announced Monday (Dec. 8) by the NEH. The fellowships, one category of NEH grants, are awarded to university and college faculty and independent scholars for advanced research. In the past five years, according to the NEH website, the fellowships program has received an average of 1,252 applications per year, and it has made an average of 88 awards – a 7 percent funding ratio, making it one of the most competitive humanities awards in the country. Burton: “Wars Against Nature? Environmental Fictions of the First Anglo-Afghan Wars.” Burton’s history is the first to argue that representations of Afghanistan’s difficult terrain served as a strategic fiction that allowed the British to blame their limited success in subduing the region in the 19th century on its hostile environment, rather than on Afghan fighters – making it the “the graveyard of empires” in the Victorian imagination. Morrissey: "The Illinois and the Edge Effect: Bison Algonquians in the Colonial Mississippi Valley.” Morrissey’s project is the first ethnohistory and environmental history of the Illinois Indians and their neighbors from 1200 to 1850. He tells the story of the rise and decline of the Illinois as “bison Algonquians” who mastered this important and contested region at the center of the continent. Pauketat: “Spirits, Birds, and Luminous Beings: Reconceptualizing Ancient Urbanism.” Pauketat reimagines the future of urbanism by looking back at some of the world's most ancient cities, using new theories and even newer archaeological evidence from the ruins of cities and citylike places from Neolithic China, to Africa, and the Americas before 1492. Proulx: "Reading and French Masculinity at the Fin de Siècle.” Proulx investigates young men’s reading habits as a subject of grave social concern in fin-de-siècle France. He considers how excessive reading was blamed for the declining virility of French youth in the late 19th century, and details what was at stake in representations of the young male reader by novelists of the era from Jules Vallès to Marcel Proust. Sobol: "Visions of Empire in Russian Gothic Literature, 1790-1850.” Sobol investigates the connection between the Gothic elements of many Russian literary works and their imperial context. She argues that the persistent presence of Gothic tropes is not just a tribute to a fashionable Western literary trend, but exposes the Russian empire’s anxieties about its borders, identity and colonial power. The National Endowment for the Humanities is an independent federal agency, and one of the largest funders of humanities programs in the United States. The European Union Center is pleased to announce the Thirteenth Annual EU Day event on March 12, 2015. European Union Day at the University of Illinois is a celebration of transatlantic relations and strives to promote a better understanding between the peoples of the United States and the European Union. The highlight of the celebration is the address by the Ambassador of the country that holds the presidency of the Council of the European Union. This year, the annual "State of the European Union" address will be delivered by His Excellency Andris Razāns, Ambassador Extraordinary and Plenipotentiary of Latvia to the United States. EU Day is open to the public and provide our citizens with the opportunity to learn about the importance of the European Union to the United States and its role in promoting international relations. Invited guests and dignitaries will include members of the Diplomatic Corps from Washington, DC, members of the Consular Corps from Chicago, business leaders, state and local government officials, and faculty and students from universities and high schools throughout Illinois. 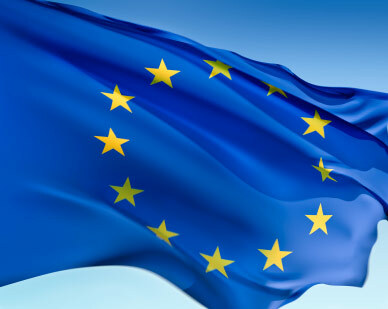 More information about EU Day is available on our website. 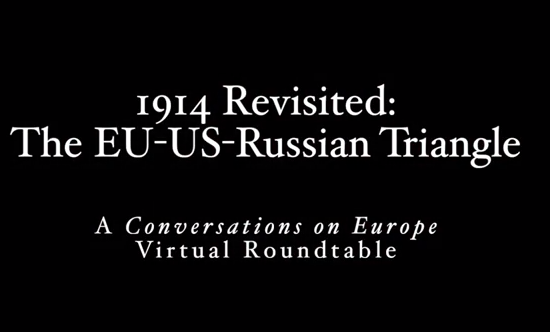 The European Union Center of Excellence at the University of Pittsburgh held a roundtable discussion entitled "1914 Revisted? 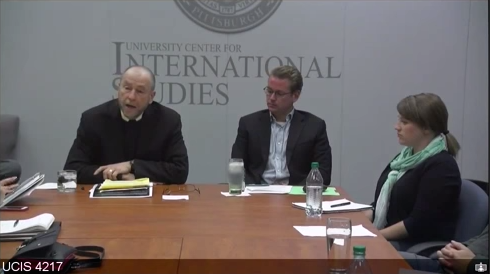 The EU-US-Russian Triangle" as part of their Conversations on Europe series on October 21, 2014. The EUC had one panelist participate in this discussion -- Mark Steinberg, Professor of History at the University of Illinois. 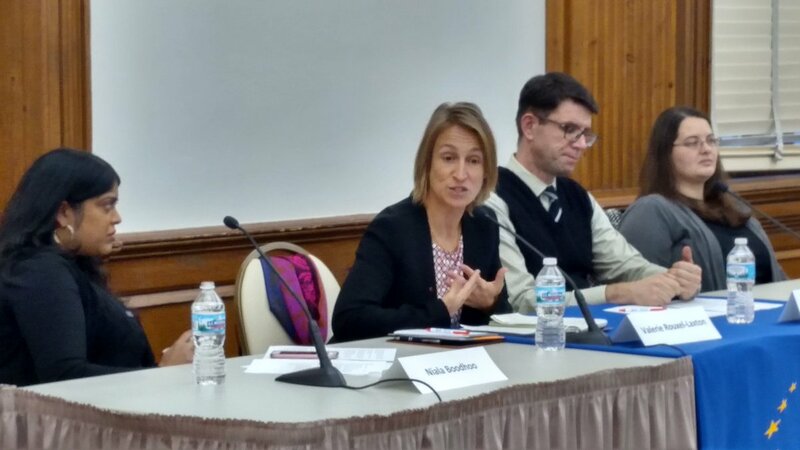 The other panelists who participated were Carol Saivetz (Harvard); Gregor Thum (University of Pittsburgh); Frank Furedi (author of First World War: Still No End in Sight); and Andrew Konitzer (University of Pittsburgh). The centenary anniversary of the Great War has invited numerous commentators to make comparisons between the events leading up to the outbreak of war in 1914 and the current Ukrainian Crisis. This session of the EUCE’s virtual roundtable series asks experts to comment on these comparisons. Can we learn anything about effective conflict prevention from that earlier period? Or are such comparisons too facile, and deceptive? This blog was originally published on the Illinois News Bureau webpage on November 6, 2014. George Czapar is an EUC-affiliated faculty member. Five U. of I. faculty members have been named 2014-15 fellows of the Committee on Institutional Cooperation’s Academic Leadership Program. The program provides leadership development for accomplished faculty members who are interested in learning more about academic administration. It is designed to introduce faculty members to issues and challenges in higher education and offers them opportunities to meet with leaders at CIC member institutions. Fellows are selected by each CIC campus; the CIC comprises the Big Ten universities and the University of Chicago. “The CIC Academic Leadership Program is a great development program,” said Elabbas Benmamoun, the vice provost for faculty affairs and academic policies and the campus CIC liaison. “The selected fellows, who come from different colleges on campus, get the opportunity to interact with each other and with more than 60 peers from across the CIC. Carla E. Cáceres is the director of the School of Integrative Biology and a professor of animal biology at the U. of I. 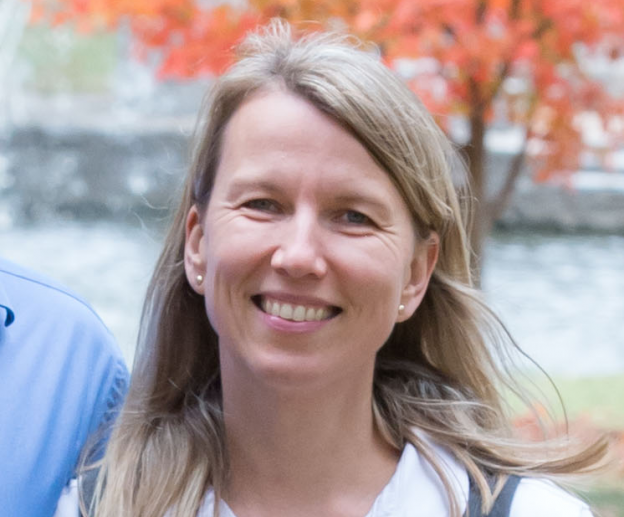 Her research is focused at the interface of population, community and evolution ecology, and addresses questions such as how biodiversity influences community assembly and the spread of infectious diseases. In addition to her research funding from the National Science Foundation, she also is a co-principal investigator on two NSF training grants, one for graduate students (Integrative Graduate Education and Research Traineeship) and one for undergraduate students (BioMath). She has been recognized for excellence in both research and teaching, including a Presidential Early Career Award for Scientists and Engineers and the Lynn M. Martin Award for Distinguished Women Teachers. She earned her B.S. in biology from the University of Michigan and her Ph.D. in ecology and evolutionary biology from Cornell University. She joined the U. of I. faculty in 2001. George F. Czapar is an associate dean and the director of U. of I. Extension and a professor of crop sciences. He earned his B.S. and M.S. in agronomy from the U. of I. and his Ph.D. in agronomy from Iowa State University. His research and Extension programs focused on interdisciplinary projects that address the environmental impacts of agriculture. He also teaches in the Campus Honors Program. He led a Strategic Research Initiative in water quality for the Illinois Council on Food and Agricultural Research (C-FAR) and helped establish the Illinois Council on Best Management Practices (C-BMP). He previously was the director of the Center for Watershed Science at the Illinois State Water Survey at the Prairie Research Institute and water quality coordinator for U. of I. Extension. Czapar received the Campus Award for Excellence in Public Engagement and the Award for Excellence in Teaching and Outreach from the College of Agricultural, Consumer and Environmental Sciences. Jan Erkert is the head of the department of dance at the U. of I. As artistic director of Jan Erkert and Dancers from 1979-2000, she created more than 70 works that toured nationally and internationally. Erkert and company have been honored with numerous awards, including fellowships from the National Endowment for the Arts and Ruth Page Awards for choreography and performance. She has received a Fulbright Scholar Award and is serving on the Fulbright Review Panel. She wrote “Harnessing the Wind: The Art of Teaching Modern Dance,” which was published in 2003, and she has been a master teacher at universities and colleges throughout the United States, Mexico, Europe and Asia. As a professor of dance at Columbia College Chicago from 1990-2006, she garnered many awards including the 1999 Excellence in Teaching Award, and she was a nominee for the U.S. Professor of the Year sponsored by the Carnegie Foundation. Kevin T. Pitts is a professor of physics at Illinois. He earned his Ph.D. in 1994 from the University of Oregon and after a postdoctoral position at Fermi National Accelerator Laboratory, moved to the U. of I. in 1999. Pitts has been active in high-energy physics research at Fermilab continually since 1994. His research thrust has been heavy-flavor physics and Higgs boson searches with the CDF Experiment operating at the Fermilab Tevatron. Pitts was awarded a U.S. Department of Energy Outstanding Junior Investigator Award in 2002, a National Science Foundation CAREER Award in 2004, a Xerox Award for Outstanding Research in 2007, and was named a University Scholar in 2013. Pitts is now a member of the Muon g-2 experiment, which is slated to run at Fermilab later this decade. 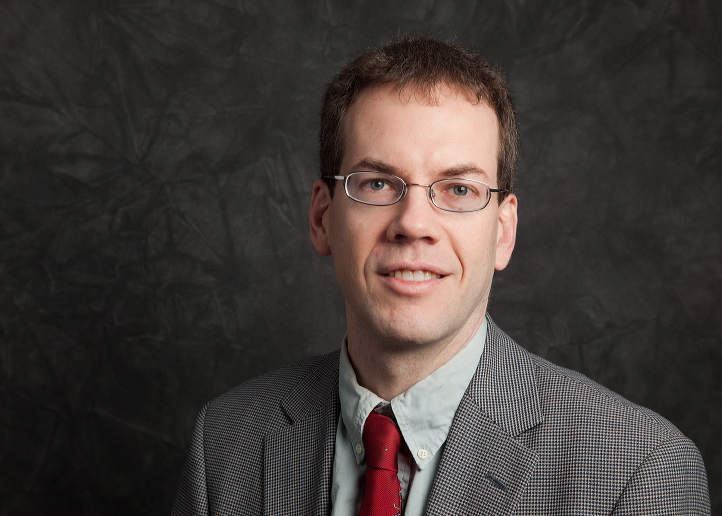 As an educator, Pitts has developed a number of new courses aimed at teaching physics and critical thinking to nonscientists. 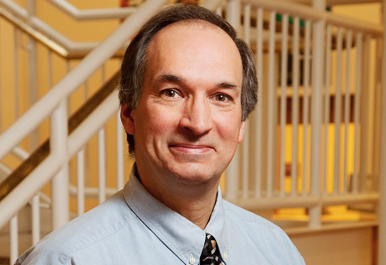 He received the Arnold Nordseick Award for Teaching Excellence in 2014. Pitts served as the associate head for undergraduate programs in physics from 2010-14 and became the associate dean for undergraduate programs in the College of Engineering in 2014. 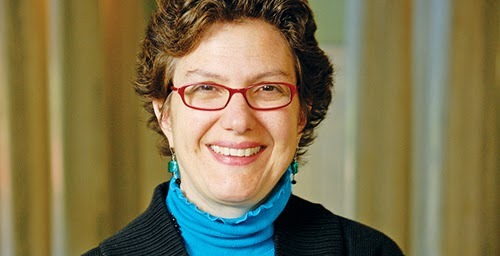 Michaelene M. Ostrosky is a Goldstick Family Scholar and the head of the department of special education in the College of Education. She has a strong track record of grant management, scholarly activity and student mentorship. Since arriving at the U. of I. in 1991, Ostrosky has been the principal investigator or co-PI on research, training and technical assistance, leadership and personnel preparation grants totaling more than $20 million. Additionally, she has mentored more than 30 doctoral students, and she has received college and campus awards for her teaching and research. Ostrosky has been involved in research and dissemination on inclusive education, social interaction interventions, social emotional competence and challenging behavior. As a former editor of the Division for Early Childhood’s practitioner journal, Young Exceptional Children, Ostrosky has much experience translating research into user-friendly materials for practitioners. Her more than 100 publications are evidence of her scholarly and applied work, particularly with preschool-age children with disabilities and their families. 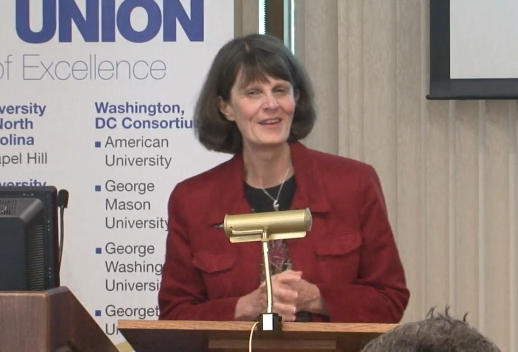 Joyce Mushaben, professor of Comparative Politics at the University of Missouri-St. Louis, gave a lecture entitled "Uploading, Downloading, & Reloading EU Policies: Angela Merkel's Efforts to Europeanize a Sustainable Energy Turn-Around" on October 24, 2014 as a part of the EUC's lecture series. European integration owes much to the formal as well as informal "downloading" of Community values and binding operational concepts. Despite its ongoing democratic deficits, the integration process also gratns individual member states many opportunities for "uploading" benchmarks, indicators and best practices, e.g., by way of expert committees and national “personnel loans” to the relevant DGs. Angela Merkel’s performance at the 2007 G-8 Summit at Heiligendamm earned her the title of “Climate Chancellor” well before other leaders were willing to put global warming and sustainable energy policies on the international agenda. Jettisoning an SPD-Green decision to cap the life-span of the country’s nuclear plants by 2020 when she was re-elected in 2009, Merkel reversed course 180-degrees following the 2011 Fukushima Daiichi melt-down, dramatically accelerating Germany's own Energy Turn-around. By 2012, Germany had exceeded several EU 2020 targets, while also creating 1.8 million green-technology jobs. It therefore has a solid stake in compelling other member-states to follow its lead. This paper argues that while Merkel’s “visibility” as a mover-and-shaker in the Euro-crisis has impeded her ability to take an obvious lead in the EU energy field, the last ten years do provide evidence of a substantial amount of “policy uploading” by Germany, especially in relation to tougher GHG emissions standards and accelerated renewable energy adoption on the part of other member-states. Value Clash Redux: The Revival of Normative Politics in the EU's Relations with Russia? 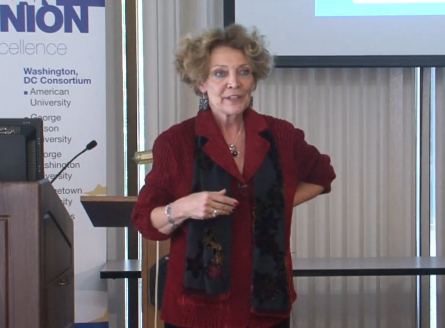 On October 3, 2014, Joan DeBardeleben, director of Carleton Univerisity's European Union Centre of Excellence, gave a lecture entitled "Value Clash Redux: The Revival of Normative Politics in the EU's Relations with Russia?" as part of the EUCE Directors Lecture series. To what degree are tensions between the EU and Russia rooted in a clash of basic political values, or do they have more to with differing economic and geopolitical interests? In recent years the EU has toned down its efforts to export its political values to Russia, as its normative agenda took a back seat to energy security and economics interests; at the same time Russia also took a more pragmatic approach to its relations with the West. The speaker explores why, nonetheless, ‘value clash’ now seems to have reemerged between the EU and Russia, whether the EU’s own policies may have contributed to this shift, and what can be done about it. This blog was originally posted to the European Voice on October 16, 2014. Students as far afield as the United States and New Zealand are keeping a close eye on developments in the European Union. Europe would appear to be the natural home for anyone interested in EU studies, yet there are plenty of academics around the world who study Europe from a distance. There are even students who leave Europe in order to get a better perspective on European Union affairs. 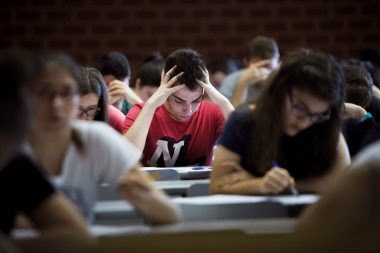 Both students started out with personal connections that planted the seed of studying in the US, but the final decision was strategic. European studies master’s degrees in the US often take an area-studies approach, covering the history, politics, cultures and languages of the region in a way that is broader than programmes in Europe. 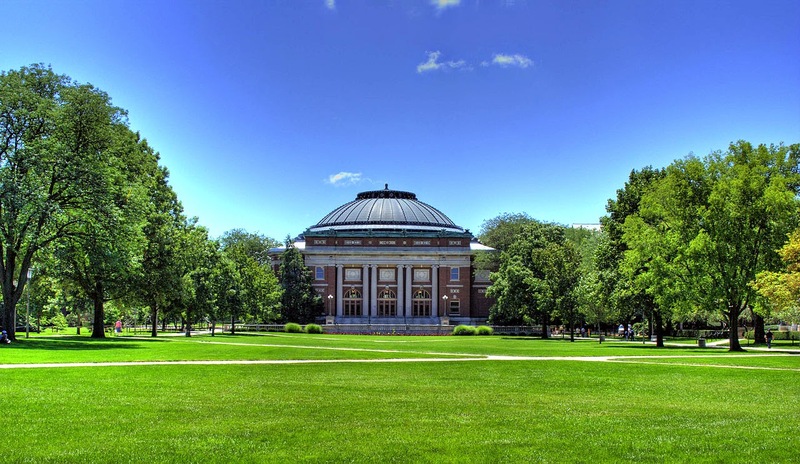 Illinois is something of an exception, offering a master’s degree that deals explicitly with the European Union, covering its history, institutions, governance and policies. Even so, there are differences. “Naturally we are interested particularly in the transatlantic relationship, as opposed merely to having interest in the internal dynamics of Europe or European integration,” says Matt Rosenstein, director of graduate studies at the university’s European Union Center. “We also approach EU studies in a comparative way, quite possibly with greater emphasis on this approach than a student might be exposed to in Europe.” Federalism, for example, might be examined in both the EU and US contexts. This external perspective is built into the centre’s undergraduate and graduate EU studies programmes. “Topics that might seem to be simply internal EU questions – agriculture or the eurozone, for example – are additionally explored from an external perspective: how do these policies have an impact on our region?” Holland says. As in the US, local comparisons are important. For example, when talking about Europe’s approach to integration, it is useful to look for parallels in ASEAN, the Association of Southeast Asian Nations. The European Union Center is pleased to announce the winners of the 2014 "Dispatches from Europe" blog contest! Students who study abroad in Europe over the summer are encouraged to submit blogs about their travels to our Across the Pond blog. 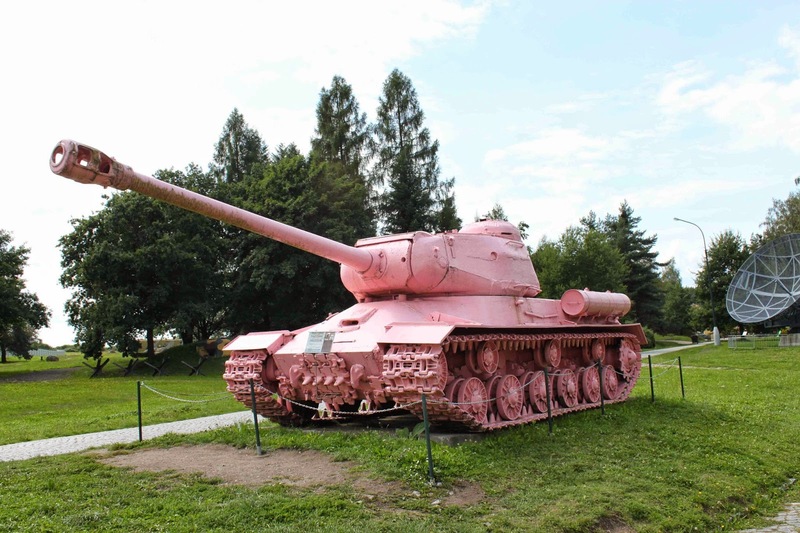 First place is awarded to Jenelle Davis, a PhD student in Art History, for her blog, "Pink Tanks and Rotten Cakes: A Research Trip to Prague." Second place is awarded to Chris Jackson, an MA student in European Union Studies, for his blog, "Prishtina's Two Towers." 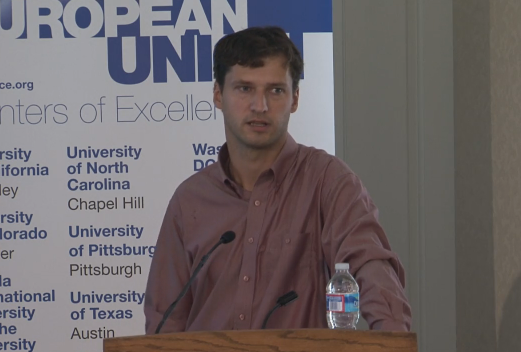 On September 26, EUCE Scholar in Residence Bart Rokicki gave a lecture entitled "Regional Wage Determinants: The Wage Curve Approach in Poland, Brazil, and the EU" as part of the European Union Center lecture series. We discuss the results of empirical research on regional wage determinants. In particular we focus on the wage curve approach and show recent findings concerning EU member states, taking as an example the Polish wage curve. Here we show the impact of new methods and approaches on results of analysis. We also compare the above with the results for Brazil – a country at a completely different stage of economic development. Finally, we discuss the possible extension of current research on EU countries, which takes into account different social systems that are existing in Europe. 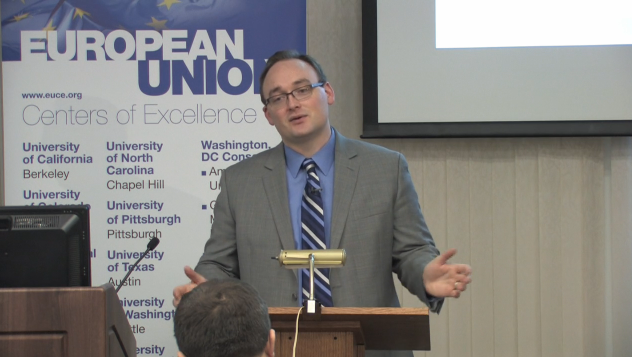 On September 23, 2014, a video conference was hosted by the European Union Center of Excellence at the University of Pittsburgh regarding the recent referendum for Scottish independence which took place on September 18. 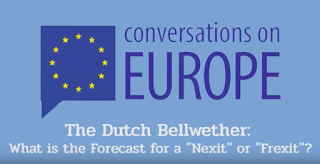 Faculty and students affiliated with the European Union Center of Excellence at the University of Illinois participated as members of the audience for this "Conversation on Europe" session, part of an ongoing series. Panelists included Alisa Henderson (University of Edinburgh); Guy Peters (University of Pittsburgh); and André Lecours (University of Ottawa). The conference was moderated by Ron Linden, director of the EUCE and Professor of Political Science, University of Pittsburgh. This blog was originally posted on the Illinois International Spotlight website on October 2, 2014. Six area studies centers at the University of Illinois at Urbana-Champaign have been selected to receive Title VI funding—support considered critical to the existence of many international programs in higher education. With a commitment of more than $3 million for 2014-15—and an expected total of more than $12.5 million through 2018—the news affirms the University of Illinois’s established and growing reputation as a leader in international public engagement and research. “These awards are a testament to the depth and breadth of the international scholarship that we have at the University of Illinois,” said Chancellor Phyllis M. Wise. “Competition for funding for these center grants is intense and to win six of them speaks very loudly to the national reputation earned in these areas by our faculty, students, and staff. The University of Illinois hosts a total of six federally funded U.S. Department of Education Title VI Centers in international and area studies, each focusing on a different world region or issue. More than 600 faculty from all colleges on campus are affiliated with one or more of these centers. This year’s recipients are a diverse group, both thematically and geographically, highlighting the wide range of international programs and studies at the University. They include: the Center for African Studies (CAS); and the Center for East Asian and Pacific Studies (CEAPS); the Center for Global Studies (CGS); the Center for Latin American and Caribbean Studies (CLACS); the European Union Center (EUC); and the Russian, East European, and Eurasian Center (REEEC). A seventh center received a grant from the U.S. Department of Education’s Undergraduate International Studies and Foreign Language (UISFL) program, a grant with similar aims, that will enable the Center for South Asian and Middle Eastern Studies (CSAMES) to provide more South Asian language instruction, including in Sanskrit, Bengali, and Urdu. All of the centers are considered models of collaboration, with joint programs that help build bridges with other renowned universities. CAS, for example, received funding in part to support its partnership with the Program in African Studies at Northwestern University; CEAPS will work closely with partners at the East Asian Studies Center at Indiana University; and CLACS will partner with the University of Chicago. The grants also encourage multidisciplinary cooperation at both the campus and international levels. The EUC, which recently renewed its EU Center of Excellence grant from the European Commission, will provide comprehensive support for faculty research, teaching, and public engagement in interdisciplinary EU Studies, a hallmark of the EUC. 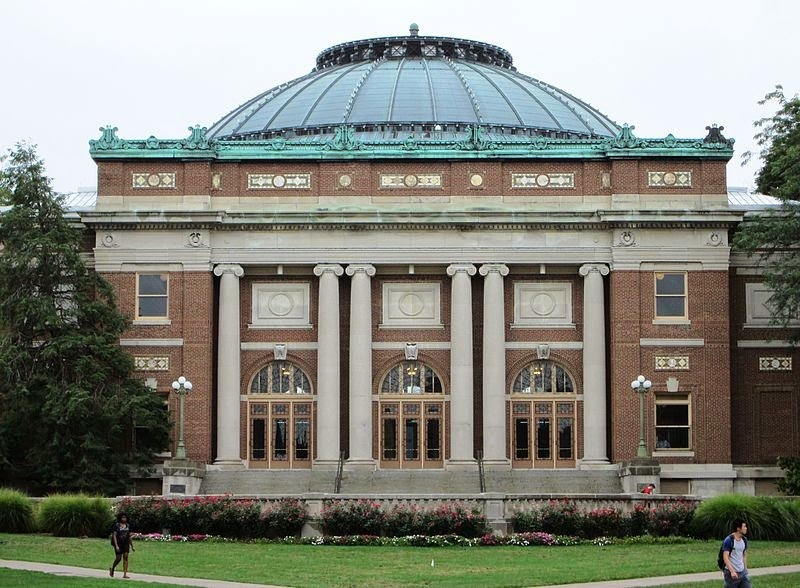 The total amount awarded to the University of Illinois for 2014-15, the first year of the next four-year cycle, is $3,134,417, with the total commitment expected to reach $12.54 million through 2018. The university has been receiving funding from Title VI and its predecessors since 1959 and has consistently ranked in the top 10 nationally for the number of Title VI centers. The six National Resource Centers are jointly contained within the College of Liberal Arts and Sciences and International Programs and Studies (IPS). Title VI was introduced as a part of the National Defense Education Act in 1958 as a means of promoting language development, with a focus on less commonly taught languages. Today, National Resource Centers, Foreign Language and Area Studies Programs, and International Research and Studies remain central programs for Title VI awards. The Newcomer’s Language Battle in the European Union: French or English? What is it like to be a newcomer? At the start of another school year, this question looms in our minds as many of us embark on new and exciting opportunities. On September 12th, I had the pleasure of attending an EU Center of Excellence lecture given by the 2014 Larry Neal Prize winner Dr. Carolyn Ban from the University of Pittsburgh. Her book entitled Management and Culture in an Enlarged European Commission: From Diversity to Unity? explores the impact of the 2004 and 2007 enlargement process on the European Commission. Dr. Ban has broken new ground addressing the culture inside the European Commission rather than its relations with the international community. In her lecture, she discusses the cultural atmosphere for newcomers recently recruited into the European Commission. When you have a melting pot such as the EU, several issues arise upon integration, particularly in the case of Eastern Europe. When conducting interviews, Dr. Ban asked many senior Commission officials, “What has changed as a result of these newcomers?” The immediate response: “language use. “ Up until 2004, the primary language used for communication was French. However, these newly adopted member states, while multi-lingual, did not typically speak French – they preferred English and their native tongue as their universal modes of communication. While the younger newcomers were more receptive to learning French, the senior newcomers were not. 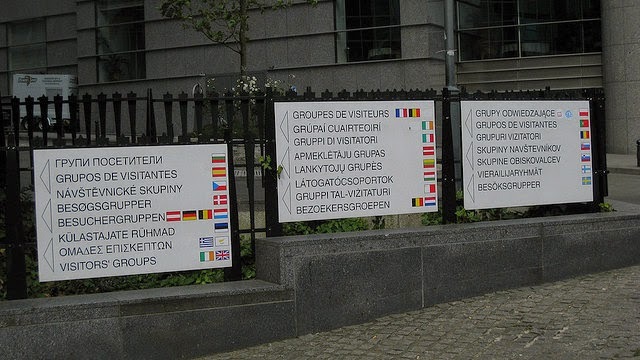 According to Ban, this resulted in serious issues during meetings – i.e., the established member states purposefully spoke in French to provoke a linguistic battle. When Dr. Ban returned to Brussels after 4 years, she noted the language battle is still present. The senior staff members argue that the newcomers had been in the Commission for 4 years and should know French by now. So, what are the broader implications of this language battle? I agree with Dr. Ban when she says it foreshadows the future organizational challenges of other enlargements, both for the EU and for Commission newcomers. Additionally, it sets a precedent for other international organizations looking to the EU as a model for organization and integration. The EU is often described as a ‘single voice’, standing together as a large supranational unit to externalize its model of governance. Does this mean that ‘single voice’ is in French or English? This blog was originally posted on the A Minute With website on September 22, 2014. Scotland and the United Kingdom seemed bound for a breakup last Thursday (Sept. 18), but stepped back from the brink. By a 55-45 percent vote, the Scots rejected independence. Brian Gaines is a political scientist at Illinois who has taught British politics and supervised a program that sent undergraduates to intern in the British Parliament. He even has Scottish roots through a grandfather. Gaines discussed the independence vote with News Bureau social sciences editor Craig Chamberlain. First, some basics: Americans often use England, Great Britain and United Kingdom interchangeably. Can you explain what the U.K. is? And how does this arrangement of four countries – England, Scotland, Wales and Northern Ireland – differ from that of the American federal government and its states? England is by far the largest of these countries, and it absorbed – or was “united with” – Wales, Scotland, and the neighboring island of Ireland between the16th and 19th centuries. In 1922, the south of Ireland seceded, following a violent rebellion, leaving the modern state as the “United Kingdom of Great Britain and Northern Ireland” (Great Britain being the island that contains England, Scotland, and Wales). Legally, the UK is the sovereign nation state, but sports fans can be excused some confusion, because the four countries field separate teams for international competitions in sports such as soccer, rugby, curling, and cricket, though not for the Olympics. In the late 1990s, the national (U.K.) government devolved power to regional governments in Scotland, Wales, and Northern Ireland, but not England. That asymmetry, and the fact that power was granted from above, not centralized from below, distinguishes American federalism from the ongoing British experiment in devolution. Did you think the vote would go as it did? And if so, why? A week before, I thought the “No” side (against independence) would win, but I was far from certain. It wasn't a simple forecast, because it wasn’t obvious which way polls would err. Pollsters always worry about “socially desirable” responses – people saying what they think the pollster wants to hear or what others regard as the more respectable answer, rather than reporting their true intentions. Scots might have felt pressured to express nationalism or to demonstrate prudent restraint, or neither. Most polls showed a large “No” lead until mid-August, when the “Yes” support surged. A YouGov poll from Sept. 6 was the first to show “Yes” ahead, though within the margin of error, and it was blamed for causing a sharp drop in the value of the British pound. But the final polls from YouGov and others matched the eventual outcome well. What were the central issues for Scots seeking independence? And for those who voted against it? The “Yes” (pro-independence) campaign promised an economic boom, but also stressed differences in public opinion between Scots and the English. They painted a picture of Scotland as a potential Norway or Sweden – richer, more generous than England in social benefits, more equal, and further from the U.S. in foreign affairs. The “No” camp stressed that divorce would harm both parties, but Scotland most of all. Disinterested observers mostly backed up the forecast that separation would be costly, but appeals to self-determination and Scotland’s distinct national character seemed to be drowning out the duller economic arguments from the summer until the final week of the campaign. What are the likely after effects? Do things just go back to the way they were? Definitely not. Alex Salmond, the leader of the pro-independence Scottish National Party, has already stepped down. His successor will not have an easy time maintaining the party’s relatively new status as top dog. More importantly, spooked by the surge in “Yes” support, U.K. Prime Minster David Cameron promised a very fast timetable for devolving still more power to Scotland. In a matter of months, the UK is supposed to give the Scottish parliament even more authority. The details are fuzzy, and immediately critics suggested that reforms to limit the powers of Scottish members of the British Parliament also need to be part of the package. Cameron is taking heat from fellow Conservatives for having made rash promises, while his erstwhile “No” allies from the Labour party, including former Prime Minister Gordon Brown, instantly pivoted to promising to hold Cameron to a “locked in” schedule. Will Scottish separatists get another chance? The first referendum on devolution took place in 1979, but failed, and it took nearly 20 years before a second opportunity, in 1997. That vote was overwhelmingly positive, and allowed the establishment of the present Scottish Parliament. With one failed vote on independence, in 2014, one might invoke this precedent and predict a second, different outcome in the next 20-25 years. Long-range forecasts are always risky, but if I had to guess today, I’d say that the U.K. will be intact until my toddlers finish university, and that Northern Ireland is the country most likely to pose the next serious challenge. 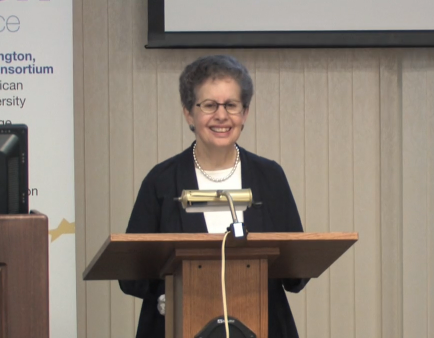 Carolyn Ban, recipient of the 2014 Larry Neal Prize for Excellence in EU Scholarship, gave a lecture entitled "The Impact of Enlargement on the European Commission: Applying Anthropology and Social Psychology to the Study of an International Organization" on September 12, 2014. Dr. Carolyn Ban is a Professor and former dean of the Graduate School of Public and International Affairs and the former Acting Director of the European Union Center of Excellence/European Studies Center at the University of Pittsburgh. She holds a Ph.D. in Political Science from Stanford University. The Larry Neal Prize was initiated by the EU Center at Illinois to recognize excellent research conducted by affiliated faculty of the ten EU Centers of Excellence located throughout the United States. 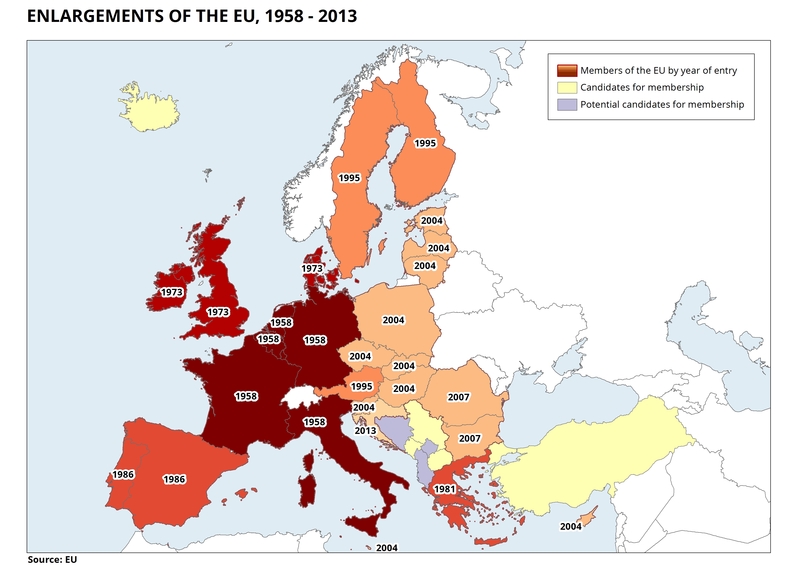 The accession of 12 new member states in 2004 and 2007 provided a unique opportunity to study how the European Commission responded to that challenge. Carolyn Ban’s research broke new ground by analyzing the European Commission from a public management perspective. It applied theories and methodology drawn from anthropology and social psychology to analyze the Commission’s efforts to recruit and socialize thousands of new staff members, and its success in integrating newcomers. It argues that nationality was less important in understanding the newcomers than expected and, conversely, that gender was more important than expected, as one of the major effects of enlargement was to shift the organization's gender balance. Saor Alba or Long Live the Union? Eda Derhemi talks with Daryl Rodgers about the coming referendum in Scotland. When Daryl and I taught for the Italian program at the University of Illinois at Urbana-Champaign, we never used English. For years our everyday conversations, our meetings, our parties were all conducted naturally in Italian. The friends that we shared were also Italian. But the one time that I heard Daryl speak to somebody in English was enough for me to never forget the beauty of his Scottish accent. It was like something coming directly from a theatrical stage where Douglas of John Home was being recited, or, to be more contemporary, like something similar to Sean Connery’s accent. It also might be that I am in love with the sounds of all the languages of the world, especially the endangered languages of minorities… In fact, I could have interviewed the green ogre Shrek for the purpose of this blog entry (who as I’ve read has expressed his support for the unionists in these words: Mike Myers speaking as Shrek: "Shrek wants what the will of the Scottish people want." He added in his own accent: "I love Scotland. I hope they remain part of Britain - and if they don't, I still love them.") [source] But I preferred to interview a real Scot with particular linguistic sensibilities, although he lives in the US and speaks Italian as a working language. This is my conversation with Daryl Rodgers, a Scottish professor of Italian at the University of Susquehanna. On September 18th, after an officially renewed initiative and after years of campaigning of its First Minister Mr. Salmond of the Scottish National Party (SNP), Scotland will vote on whether to secede from the union with Britain, and become an independent state. The polls last year made officials in the Westminster feel relatively comfortable because of a significant advantage for the Union supporters. But The Economist of this morning (September 13th) reports that the polls have recently shifted from a 20 point difference to a 2 point difference [source]. Hence the results at this point are very close to call, and therefore the campaigning has become fierce on both sides. Obviously at this point every single vote matters. 1. Is the voting made possible for the Scots who do not live in Scotland, and are you going to vote? I would like to be able to vote but I can’t. Only people with a permanent address in Scotland are entitled to a vote. Even my younger sister and her (Scottish) husband who live in London cannot vote. On the other hand, people from other countries (including England) who are currently living in Scotland can vote. I understand the reasoning, but I would still like to vote. 2. Is your native town a strong advocate of the independence or is it against it? Or are the people there divided on the issue, like in most of Scotland? I think the country is pretty much divided 50/50. Based on what I hear and what I’ve seen from people I know in Scotland on social media, it looks like it will come down to the wire. 3. This is what was recently reported: “12 Sep 2014: The Guardian/ICM poll finds support for the “no” campaign at 51% and “yes” at 49% with less than a week to go, but 17% of voters say they have yet to make up their mind.” [source] From discussing with your friends and family, are these numbers credible to you? I know my own family (my parents and older sister who all live in Scotland) were split on how they were going to vote. Well, at least up until recently, that is. Now they all seem to be on the same side (the YES side). The tactics used by the NO campaign seem have to been responsible for this move. More about that later! 4. As a Scot who lives and works in the US are you in any way personally affected by the results of the referendum? It’s interesting. I have actually wondered about this myself. I have wondered when I next go home whether I will need a different passport, for example, or whether I will need to go through border control when I drive from Scotland to England to visit my sister. But I think it will affect me more indirectly in the sense that my family are still there and what affects them (positively or negatively) will of course have some kind of effect on me, I suppose. 5. How old were you when you first heard about the possibility for Scotland to be completely independent from England? Has this issue been important for the general population during the time you grew up and during your studies in Scotland or has the question of independence become more of a public issue only in recent years after the victory of the SNP? The question of independence from England has always been lingering in the background for as long as I can remember. Growing up in the 80s in Scotland I had always heard about how Scotland had had the chance to be more independent but that the English government hadn’t allowed it because the proportion of voters was not large enough (in reference to the 1979 vote for a devolved Scottish parliament). However, I always saw the SNP as the idealistic party with no hopes of every getting elected. I always had the idea that Scottish independence was something of a fairy tale or for the movies. Never did I think that Alex Salmond would go on to become the First Minister of Scotland, and never ever did I think that we’d get to the point where we are now that Scotland could possibly become an independent country again. It’s really amazing. 6. The conservative Prime Minister David Cameron (whose personal political capital will be significantly damaged if Scotland votes independence) went to Scotland three days ago, together with other leaders of the whole ideological spectrum like Miliband and Clegg, to convince the Scots to remain in the Union. It seems like Westminster, surprised and troubled by the recent polls, is now promising to Scotland further devolution and more power [source]. This was immediately repudiated by Mr. Salmond who called it an panicky measure and an effort to bribe the Scots (The Economist, Sept. 12). Certainly large economic interests are at stake here, (especially in the oil, fishing, banking and whiskey industries) but those are played in two completely different ways by the opposing parties. There is talk (Jim Sillars from SNP as reported by BBC News, Sept. 12) that large wealthy private companies in Scotland are in cahoots with the Prime Minister to keep Scotland poor, and that their "day of reckoning" and nationalization is coming if Scotland votes for independence. The New York Times (Sept. 11) connected the independence of Scotland with the exit of Britain from Europe based on fears of banking industries if independence has its way. A) Do you think such complex economic and political issues that go beyond the borders of Scotland, are made clear to the voters by the Scottish media? Or have the political leaders of both sides had an easy way in stirring up mass emotions based on the old “disdain for Westminster” and the fears that wealth and advantages coming from central power will be gone if independence comes? My impression is that, as is typical of all political parties, nobody really knows anything for sure. I know that sounds ridiculous, but it seems like both sides continue to contend that each one is correct and the public is still left wondering whether or not Scotland will lose big businesses or whether or not they can actually survive on their own thanks to their oil/ whiskey/ fishing, etc. industries. Each side wants to believe what it wants to believe and it seems very difficult to find any impartial sources right now. Just the other day the BBC was accused of impartiality in its reporting of the independence debates and issues. Of course, that’s not a big surprise. It’s been widely accepted for years that the BBC was in the pockets of the English government anyway! B) Also, can Cameron’s promises still change the results of the vote? The polls show that many voters have changed their minds only very recently, especially very young voters, like students. Do you think the public is well aware of what is at stake and of the pros and cons of independence from England, or do you believe people (especially the young) are jumping on the bandwagon of independence right now under some sort of festive hypnosis…? I honestly think that when Cameron (and Clegg and Miliband) came to Scotland last week they did more harm than good for their side. One thing they should know by now is that you don’t get anywhere with Scots (man or woman) by threatening them and that, essentially, is what they did. Having said that, I believe that fear ultimately has a great effect on people, and so I have to think that more than the threats of the English government, the threats from big banks and businesses might end up swaying the undecided to vote NO. My concern, of course, is that someone would vote out of fear, but equally so that someone would vote out of “festive hypnosis”, as you put it, because at the end of the day the party is going to finish and the people are going to be left to face reality – whatever that ends up being. 7. Cameron has his own troubles right now in connection to his promise for a British referendum in 2017 (if he wins the 2015 general elections) on whether to leave the EU. His new requests and political moves are seen very skeptically by Merkel and other EU members who, while asking Britain’s cooperation, are talking of “finite patience” with England (The Guardian, Feb. 27, 2014). Many today believe Cameron is doing this for election purposes and that in fact he is not in the position to renegotiate terms with the EU. A) Once Scots particularly liked the possibility of being in the EU without being in the Euro-zone, just like England. I mean their hope for sharing England’s “special treatment” in the EU was strong, but probably is becoming now less alluring than it used to be. As recently as November 2013 the Scottish government, while contemplating independence, was still leaning towards gaining EU membership through article 48 of the EU Treaty (hence, from within the UK), and not through article 49 (as an independent State). Do you think the perceived weakness of Britain vis-a-vis EU could be the reason why the Scots’ support for independence has surged recently? I honestly doubt it. My perception of Scotland’s relationship with the EU has always been that it is tenuous at best. My feeling has always been that Scotland (and the U.K. in general) feel only peripherally connected to the EU – both geographically and politically. I think there may actually be more interest in being an integral part of the EU if Scotland were to become an independent state than there was when it was part of the U.K. simply for practical reasons – being a smaller fish in the pond it would possibly be seen as more beneficial to ‘belong’ to the big pond than it seems right now for most Scots. However, I do not believe that is the motivating factor for most Scots. B) Do you think there is still a wide-spread belief among Scots that they need Britain in order to advance in the EU or do they think that Britain’s power in the EU is fading away? I think I probably answered part of this question above, but I will add that again, in my personal opinion and based on my perceptions, Scottish people (and the U.K. in general) seem to have grown tired of being ‘dictated to by Brussels’, to quote an often heard phrase. As you can imagine, proud Scots haven’t taken too kindly to what they perceive as France and Germany telling them how to run their business, especially when they believe that Eurocrats in Brussels have no real idea of the reality of living in Scotland. But that’s not a sentiment limited to Scotland, I know. Many Italians I know feel exactly the same. It’s interesting to note that for years Scots have been complaining that they are tired of being told what to do by politicians in London. So, that feeling has been compounded when you add Brussels to the equation! Let us now move to discussing more fun issues than economic politics. Let us talk about culture, deep rooted national psychology and especially, let us talk about language. 8. The film Braveheart is considered by the reviewers as a historically inaccurate film. Do people in Scotland see it mainly as a commercial production based on a spectacular exaggerated myth or as a story that does symbolic justice to their struggle to be free and independent? I think it’s probably a bit of both. While we recognize the historical inaccuracies of the film, I think it did help reignite some pride in Scotland and rekindle a nationalistic spirit. Of course, such feelings can be short-lived if there’s no political force to back them up and that appears to be what has happened in the last three years. 9. Are people like William Wallace or Andrew Moray seen by young Scots as legendary figures and remote folkloric images, or do they continue to actively resuscitate feelings of political apprising and self-determination? Do the school text books have any role in this? Coming from the Balkans I know that the battle of Kosovo of year 1389 between the Balkan forces and the Ottomans, is still celebrated by certain groups as an event that happened only a few years ago, and it is used very successfully by political parties today to swing peoples’ votes. Are the years 1328 or 1707 seen in the same way in Scotland, or do Scots no longer see themselves as victims of the Kingdom of Great Britain, so that independence is simply a practical step of Real politics to become a stronger state? I would venture to say that more young Scots know who Andrew (Andy) Murray is than Andrew Moray! William Wallace, yes – thanks to the film – but Andrew Moray, no. You see in my experience school textbooks (at least when I was at school) contained few if any references to Scottish history in general. Most of what I learned about Scottish history I learned on my own. My parents’ generation was much more informed on Scottish history, and British history in general (as far kings/ queens, Act of the Union, etc.). You see, for as much as we are a quietly proud country, I would say that we are not very patriotic, at least not in the way that other countries are, like the U.S. So, growing up, I do not remember celebrating any kind of event that was specific to Scotland only, except maybe a mention of St. Andrew’s Day or Robert Burns’ birthday. So, to me, the resurgence in Scottish nationalism is in many ways a surprise, but has grown out of a practical reality. It’s a feeling that has been growing in Scotland for some time, to be sure, but I believe it’s linked more to the realities of modern history than to some historical sentiment of resentment. 10. While the beautiful Scottish Gaelic language is seen today by many as a linguistic institution, we all know that it is in a definitely endangered state. 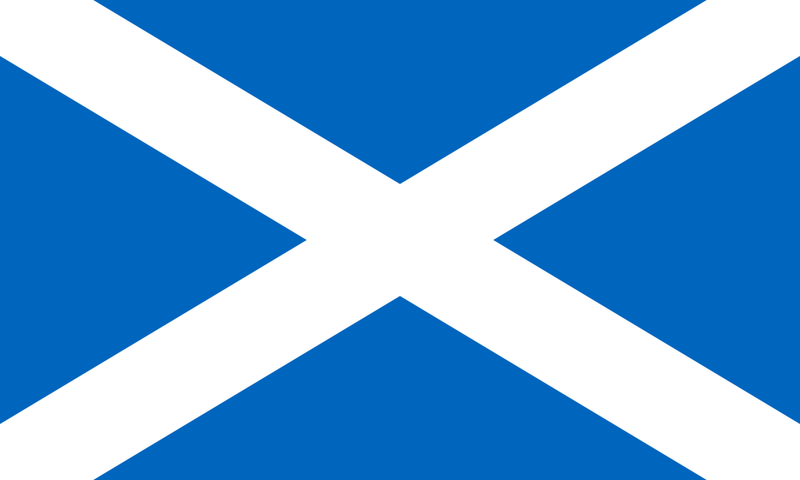 When in October 8, 2009 The Independent announced that Scottish Gaelic was accepted at EU level, it joyfully and ironically reported two events: first, that Jim Murphy, then the Secretary of State for Scotland, said “this will allow Gaelic speakers to communicate with European institutions in their mother tongue”; second, that the newspaper had contacted the Scottish Office, the Scottish Parliament and the Scotsman Newspaper to see if the main statement for the introduction of the Scottish Gaelic in the EU and that of Mr. Murphy could be translated in Gaelic, but was given in all three places the answer that no one there could speak the language. This clearly underlines the problem, which is also shown by the numbers: in more than five million Scots, less than 60,000 speak the language (counting many who can barely use it in communication or who have only a symbolic competence in it). A) Do you or members of your family speak Scottish Gaelic? Did you study the language at school and, if yes, for how long, and did it help? How about your friends, neighborhood, town? B) An article of The Guardian today (September 13, 2014) raised concerns about how the cultural segments of the society that do not directly produce economic wealth will do in an independent Scotland. Classical musicians for example, were very concerned to lose the centrality of London as an international capital of music, large state subsidies coming from the central government, a large market considered secure in a union with Britain, and especially the unrestricted publicity coming from a large and important country. Do you think there are parallels of these fears expressed by classical musicians that could be the same for those who support the use and maintenance of Scottish Gaelic? The only reason I could see that being true is that the BBC, and BBC Scotland in particular, has done a lot over the past several decades to try to develop programming for Gaelic speakers and to encourage others to learn Gaelic. But, I am more inclined to believe that independence may actually benefit the Gaelic language more than staying together. C) Ireland is a clear example in that although Irish language is seen as a strong identity symbol, is legally recognized as the first official language of the country, and is given strong institutional and financial support, it has remained still very weak compared to English, is used by only a small portion of the population and is not advancing as expected. Do you think Scottish Gaelic has better chances to survive and grow in the union with Britain or in an independent Scotland? Can you elaborate on the reasons? Irish Gaelic has always been much more widely spoken than Scottish Gaelic. For example, I believe that all Irish children learn both at school and that you must be bilingual in both in order to be able to get a job as a teacher in Ireland (I don’t know that for sure). But again, even there, I understand that there are areas of the country where people are more likely to speak Gaelic than in other parts. However, while I think Scottish Gaelic will never become a widely spoken language in Scotland, I think that there is more of a chance that it would become more popular if Scotland were to become an independent country. Somehow in my mind, for as long as Scotland remains part of the U.K. and its identity is wrapped up with that of the U.K., it will never see a real need – practical or sentimental – for teaching and learning Gaelic. Whereas, if it is independent, it would seem that its identity becomes more restricted in every sense to that of ‘just’ Scotland. In this case, recognizing and appreciating the cultural and linguistic diversity within our own borders may make more sense at that time. new and returning faculty, staff, and students to the University of Illinois campus. We are very pleased to share the good news that the EUC succeeded in renewing, through a highly competitive grant process, its designation as one of ten EU Centers of Excellence in the United States. The one-year grant of €95,000 administered to the EUC by the EU Delegation to the US in Washington, DC will enable a host of new interdisciplinary initiatives in EU studies research, course development, and public engagement. You can read more on our blog about the new EU Center of Excellence grant and the participating faculty and activities that it will support. Over the summer, the EUC also submitted a comprehensive proposal to the US Department of Education Title VI program, as we seek to renew our designation as a National Resource Center. We anticipate hearing results of the competition in September. If funded, the grant could bring in up to $2.5 million over the next four years to support additional research, teaching, and outreach projects as well as Foreign Language and Area Studies (FLAS) Fellowships for graduate and undergraduate students. As usual the EUC will use some of the funding from our EUCE and Title VI grants to invite new competitive proposals from UI faculty and students, as well as off-campus scholars and educators. The EUC has just released a Call for Grant Applications for research, conference travel, and other activities focused on expansion of knowledge and engagement with the EU. Deadlines for the first sets of competitions are coming up in September. We encourage you to check out the details and get your applications started. Even as the EUC continues its efforts to renew and maintain its traditional flows of grant funds and to distribute these resources to partnering units and affiliates, we are always seeking to grow our financial base in ways that will support the UI and EUC missions and the interests of our faculty and students. To that end, we welcome inquiries about possible collaboration on new grant opportunities and can provide various types of support for applications to sponsors outside the university. We welcome your ideas and interest in such cooperation, and invite you to contact us at EUC to discuss opportunities you may wish to pursue. Together with our highly energetic faculty, the EUC staff has been busy planning an exciting array of lectures, conferences, movies, and more for the academic year. The Center will be hosting lectures on Fridays at noon. Marquee talks like the EUCE Directors Lecture Series, Larry Neal Prize for EU Scholarship lecture, and Scholars-in-Residence speaker series are planned for this fall. We welcome suggestions—and self-nominations—for speakers to deliver Friday noon lectures, so please let us know your ideas. 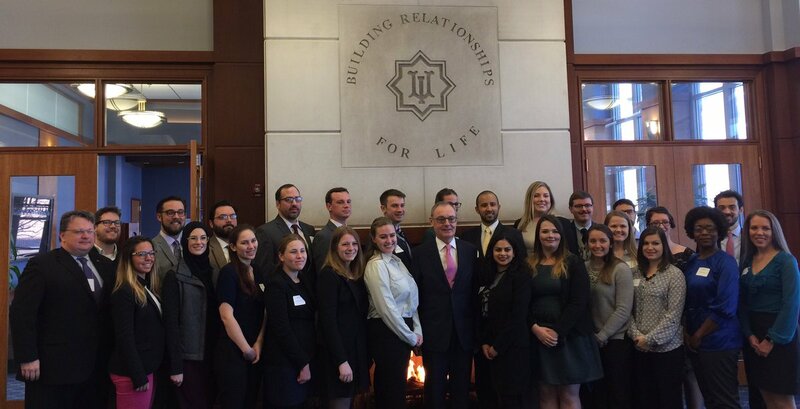 The Center’s programming this year will also feature special interactions with the European diplomatic corps through EU Day and similar events, and our annual Regional Faculty Working Conference in EU Studies in Chicago in January. Look for updates in forthcoming e-Weekly issues and on the EU Center web site, and make your plans to participate. A standing goal of the EU Center is to foster cooperation with institutions in Europe and with scholars that share interests in EU studies, and one of the ways we do that is by inviting applications to our Scholars-in-Residence program. We are excited to announce the following visiting scholars to EUC, who will be coming at various stages during the academic year: Bart Rokicki (University of Warsaw); Patricia Minacori (Université Paris Diderot); Renata Dombrovski (University of Rijeka, Croatia); and Michelle Frasher (Fulbright-Schuman Scholar). We will share additional information about each of these distinguished scholars and post profiles of their background and interests on our web site soon. Please join us in welcoming them to the UI and Urbana-Champaign. We will announce the next competition for EUC visiting scholars for 2015-16 residency in the spring, and as always we encourage inquiries and applications both from prospective visitors and their collaborators here at the UI. Many of you already keep up with the Center and the latest EU news through our Facebook page, EUC Blog, and Twitter feed. Our e-weekly newsletter will continue to highlight selected contributions to these social media. We also invite you to join our LinkedIn group, which allows EUC affiliates to stay connected and keep up with each other’s professional developments, and to follow us on Pinterest. As we look ahead to the upcoming year, the Center will continue to serve as a hub for research, teaching, and public engagement on the EU and transatlantic relations. We plan to spend this year focusing on developing new curricular and academic programs, including prospects for new degree majors and minors in EU studies at both the graduate and undergraduate levels, and enhancing the footprint of Illinois at European partner universities. A key goal is to cooperate with other units on campus that share our interests in expanding the range of opportunities for students interested in the EU, so we look forward to engaging in dialogue about ways to achieve those objectives. Please feel welcome to share your ideas with us about how we can best serve that mission. In the mean time, we wish all of the EU Center’s many friends a productive and stimulating year to come! This post was originally published on Diplomatist Online in July 2014.
former autonomous Yugoslav province of Kosovo. The revocation of the participatory and educational rights of Kosovo’s ethnic Albanian majority eventually digressed into a guerrilla conflict that became an outright civil war after a calamitous attempt by the Serbian Interior Ministry (MUP) and the Serbian Army (VJ) to capture Kosovo Liberation Army (KLA) leader Adem Jashari, which resulted in the death of 63 ethnic Albanians. Under the authority of United Nations Security Council Resolution 1199, US General Wesley Clark directed a campaign of airstrikes against MUP and VJ targets in both Kosovo and Serbia. Initially, the controversial air campaign provided cover for Slobodan Milošević’s government to escalate its own ethnic cleansing campaign underway in Kosovo. Sites of Albanian heritage were razed and Albanian families were forcibly displaced or executed. Hundreds of thousands sought refuge in neighbouring Albania or Macedonia. Eventually, General Clark’s campaign dislodged Milošević’s security forces and effectively ended Serbian dominion over the province of Kosovo. In the wake of the Milošević regime’s ethnic cleansing of the Albanian population, it was determined that Kosovo could not return to the control of Serbia. The Serbian government in Belgrade had denied a population the right to self-determination and failed to guarantee its citizens’ basic human rights, including life and security. UN Security Council Resolution 1244, passed after the conclusion of the conflict in 1999, placed Kosovo under the authority of the United National Interim Administration in Kosovo (UNMIK). This unpopular administration, with the power to govern autonomously, would be the first actor in a prolonged period of international involvement. The UNMIK administration ended with the unilateral declaration of independence by Kosovo in February 2008, not formally recognised by the United Nations, and was replaced by a two-year period of supervised independence. However, 15 years since the cessation of the war with Serbia and six years since the declaration of independence, Kosovo remains an international protectorate. The international community continues to act in a hands-on fashion with tangible impact in all areas of Kosovo’s public affairs, including economic development and social relations, but most prominently in government administration. Strong international involvement in government administration is a double-edged sword. Kosovo is actively being guided in the direction of modernisation and Europeanisation with the end goal of accession to the European Union. This has included the writing of the Constitution of the Republic of Kosovo itself, which was drafted from the comprehensive proposal by UN Special Representative and former Finnish President, Marti Ahtisaari. The Ahtisaari Plan, as it is known, included the necessary provisions for Kosovo’s independence as a sustainable, multi-ethnic society. There is a disproportionately high representation of minorities in the Assembly of Kosovo. The ethnic Serbs are guaranteed a minimum 10 seats out of 120 (roughly 8% of seats for a population constituting less than 5% of the total), regulations in the representation of women, and the decentralisation of municipalities. The decentralisation process was to be carried out in accordance with the Council of Europe Charter on Local Self-Government, and was overseen by the United Nations Development Programme (UNDP). Initially rejected by Serbian authorities in 2004, the decentralisation project, which included the creation of six Serb majority-municipalities, began in 2009. UNDP was responsible for the training of municipal authorities and creation of municipal-level administrations, including municipal cadastral offices. The success of this project is a product of the dialogue between officials in Belgrade and Prishtina, which has been stably facilitated by the European Union. Currently in a stage of political dialogue, it has already yielded results. As per an agreement reached on April 19, 2013, Serbian MUP (Interior Ministry)-trained officers were incorporated into the Kosovo Police in Northern Kosovo. Better trained and better trusted by Northern Kosovo Serbs, this EU-facilitated agreement has tangibly benefited the rule of law. And prior to the political dialogue currently being facilitated, which commenced in October 2012, the EU had facilitated a year of technical dialogue between Kosovo and Serbia. This resulted in seven conclusions in the process of implementation on civil registry, freedom of movement, customs stamps, cadastral records, university diplomas, regional representation and cooperation and integrated border/boundary management. However beneficial all of this has been to the advancement of Kosovo as a country, the other side to the international community sword has stunted the internal development of Kosovo. Heavy-handed international involvement has prevented the local ownership of public institutions and allowed for the entrenchment of neo-patrimonial practices in public administration. As a result, trust is lacking in local domestic institutions, as change is a product of international prescription rather than democracy. This is nowhere more evident than in the EU Rule of Law Mission (EULEX KOSOVO). The EULEX structure is divided into two separate divisions – strengthening and executive – with the strengthening division devoted to increasing the capacity of local authorities, while the executive division handles rule of law functions including prosecution, judiciary, and policing. While the new EULEX mandate passed this year and valid through 2016, places more of a focus on the strengthening of local counterparts, EULEX still maintains a strictly executive presence in the Serb-dominated North and the divided city of Mitrovica. Here judiciaries and prosecutions are strictly international, despite the efforts of the Kosovo Judicial Institute to integrate Serb judges. EULEX still actively practices hard policing, while also maintaining two formed units – one for riot intervention and one for breaching. While on one hand, the presence of EULEX (and OSCE advisors prior) has aided in the development of a well-regarded police force, and shielded rule of law organs from potential political interference, it has also decreased public trust in such organs through its prolonged presence. Upon deployment, EULEX pronounced its aims of pursuing high-level corruption and organised crime as well as neutrally approaching ethnic war crimes, goals for which the public had high hopes. The failure to produce results on such pronounced goals during its prolonged mandate has resulted in a plummeting of public opinion about the rule of law and a perception of EULEX and local organs coexisting in corruption and ineptitude. Reception in Northern Kosovo is another story. Still a beacon of robust ethnic division, only recently did the Serb majority municipalities in the North abandon their parallel structures and accept participation in the decentralised Kosovo system – at Belgrade’s urging. Despite this, the Ibar River, running through the mining city of Mitrovica, remains a formal ethnic divide, with the city’s main bridge having been barricaded for years. Much of the Serbian population north of the Ibar continues to reject Prishtina’s reach. Disdain for EULEX limits its capabilities and necessitates pugnacious policing tactics, usually involving armoured vehicles and long-barrelled weapons, the practice of which compounds the disdain for its presence. Ultimately, its presence in Northern Kosovo is delaying the acceptance and local ownership of the rule of law, a delay that has fostered increased criminal activity, not necessarily along ethnic lines. Delaying local ownership by prolonged international involvement is not a phenomenon strictly characteristic of the field of rule of law. It is evident in other sectors of public administration as well, including the privatisation of state-owned enterprises. The privatisation process, overseen by the EU since the UNMIK administration, has been slow and largely unsuccessful, and has become a rich source of corruption. More damaging, however, is the shielding and legitimacy the international community has provided for Kosovo’s political elites. The protection afforded them in the interest of stability, which includes the dialogue with Serbia, has allowed time for neo-patrimonial and corrupt practices to become entrenched in the government, especially in the field of public procurement. Despite abundant reports of corruption at the highest levels, cases are rarely pursued and rarely closed against high-ranking government officials. The international community has furthermore been responsible for legitimising any possibly illegitimate political elites. The 2010 elections in Kosovo, the first since independence, are widely believed in Kosovo to have been fraudulent. Strongholds of support for the victorious Democratic Party of Kosovo (PDK) recorded voter turnouts as high as 95 percent, while concerns arose about inadequate polling facilities, security, and consistency of voter registration lists. Despite such irregularities and inadequate provisions in the constitution to deal with them, the international observers declared the election legitimate. Such statements as US Vice-President Joe Biden’s labelling PDK Prime Minister Hashim Thaçi as ‘Kosovo’s George Washington’, have further lent international legitimacy to Kosovo’s political elite. And this coupled with the common practice of political allegiance to former KLA commanders, and heroes in the public eye, such as Thaçi and other notable political elites Ramush Haradinaj and Fatmir Limaj has fostered a system of political impunity. Local authorities are deterred from pursuing cases against such elites due to the unconditional wartime allegiances, and cases brought by international authorities result in mass public outcry. The current inability of the Kosovo Assembly to form a government is a product of these practices. Multiple arrests of former KLA commander and Minister of Transport, Fatmir Limaj, at politically sensitive times since 2010 prompted his split with ruling PDK in February, the party in which he had served as the vice-chairman. Mr Limaj himself had stated the political nature of the cases brought against him and had the support of other officials including one parliamentarian from the self-determination movement Vetevendosje, who stated in an interview that Limaj was the victim of the ‘elimination of the Prime Minister’s political opponents’. Joining Mr Limaj was sitting chairman of the assembly Jakup Krasniqi, whose claims of tyrannical party dealings within PDK had driven him out. Together Limaj and Krasniqi formed the Initiative for Kosovo (or NISMA), taking with them six members of the assembly and roughly five percent of the popular vote, and bolting themselves to PDK’s opposition. Without a PDK voting majority, the assembly was unable to agree on the issue of a national defence force, resulting in the call for a snap election in early June. Unable to form a coalition out of this election, PDK remains just a plurality, while its opposition, comprised of vastly differing parties remains unable to form a coalition of its own on conflicted ideological grounds. The Kosovo Assembly is at an impasse. Consequently, the current dysfunction in the Government of Kosovo highlights the inability of democracy to naturally exist in the political atmosphere that has been fostered. Years of uncouth dealings, shielded and legitimised by the international community, has resulted in the rift in the controlling party, while it was the neo-patrimonial, semi-tribal allegiances to ex-KLA commanders and their public impunity that magnified this rift. It is undeniable that in its current state Kosovo continues to require the presence of the international community. Having never possessed a sufficient economy, it remains dependent upon its neighbours for imports, while it likewise remains dependent upon such Western European firms as Raiffeisen, BNP Paribas, and Sigal to form its financial sector. The presence of KFOR remains a necessity to deter any resurgence of ethnic violence such as the one it suppressed in 2004, and the more recent bout this year targeting the barricade in Mitrovica. Robust international presence in public administration and reform, however, must be scaled back to allow strengthening of local-ownership of institutions. The EU already has in place Instruments for Pre-Accession Assistance (IPAs), which aim to strengthen rule of law capacity through twinning – embedded training, consultation, and advising in local institutions. This model of international development must be allowed to expand broadly as EULEX is reduced over its next two-year mandate, and be allowed to expand into other fields including national governance and international relations. Deprived of the ability to function without international scaffolding propping it, Kosovo as a state and its government cannot be globally accepted as legitimate. Christopher Jackson is a Graduate Assistant at the European Union Centre at the University of Illinois, USA.